Mario Andresol Rumors On Twitter - Under House Arrest? 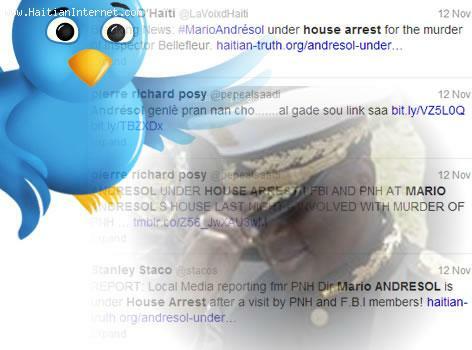 Rumors spread on twitter and other social networks that ex Haitian Police Chief Mario Andresol was under house arrest. Andresol says Not true!